This vegan, dairy free, gluten free stew is a family favorite. 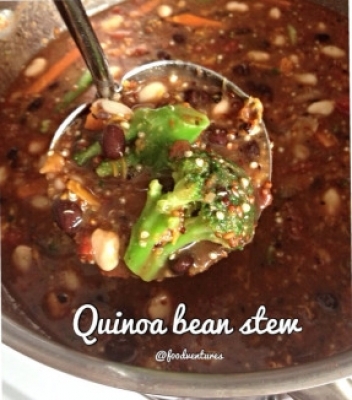 Made with high protein quinoa, beans, and veggies; it's the perfect combination of nutrients and flavors. 1) in a large pot cook your quinoa in 2 cups water until fluffy (about 12 minutes).